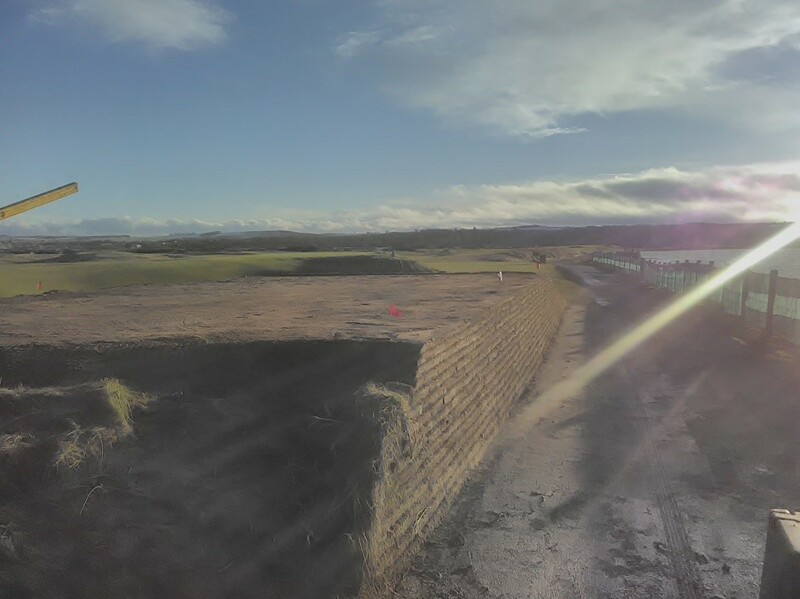 During the course of this winter, we have been busy on the Old Course with some tee rebuilds due to wear and tear, one of which was the 12th championship tee. 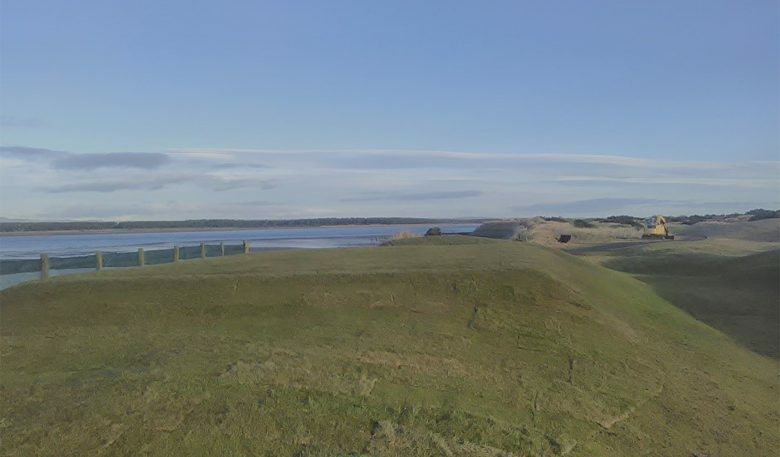 The 12th hole lies at the furthest point of the golf course beside the Eden Estuary. The hole itself is a gem and one of the most interesting… it’s definitely a personal favourite of mine (and Jack Nicklaus’). 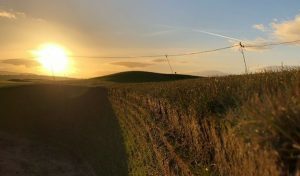 The location of the tee used to be a mound for spectators during tournament play which we converted a number of years ago. 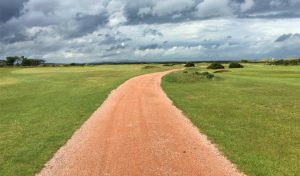 One of the challenges of building the tee originally was its location. It’s very close to the back of the 11th green which has a slope that plays an integral part when playing that hole. When rebuilding it we were unable to point it down the fairway. This has always affected the direction the tee points but with limited space to work with this, while not ideal, cannot be avoided. 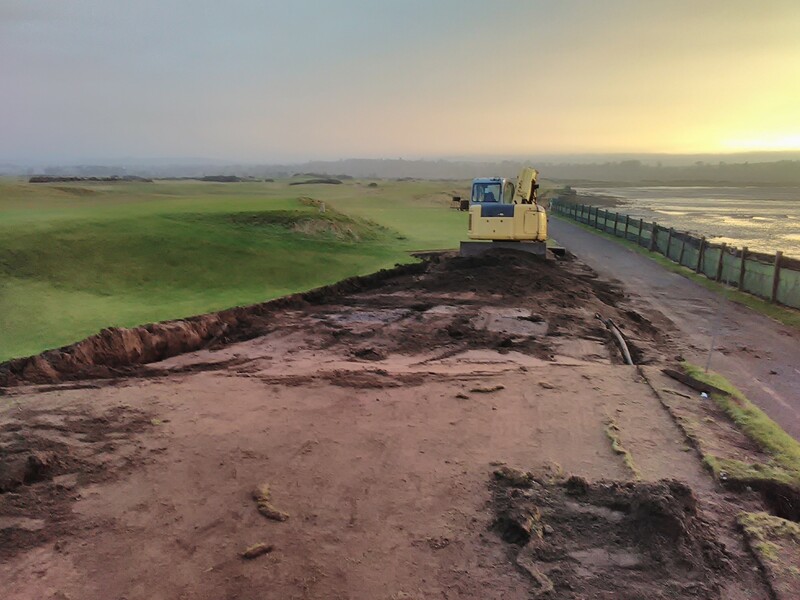 The work started in early January by stripping out the turf to begin excavating and shaping the ground. 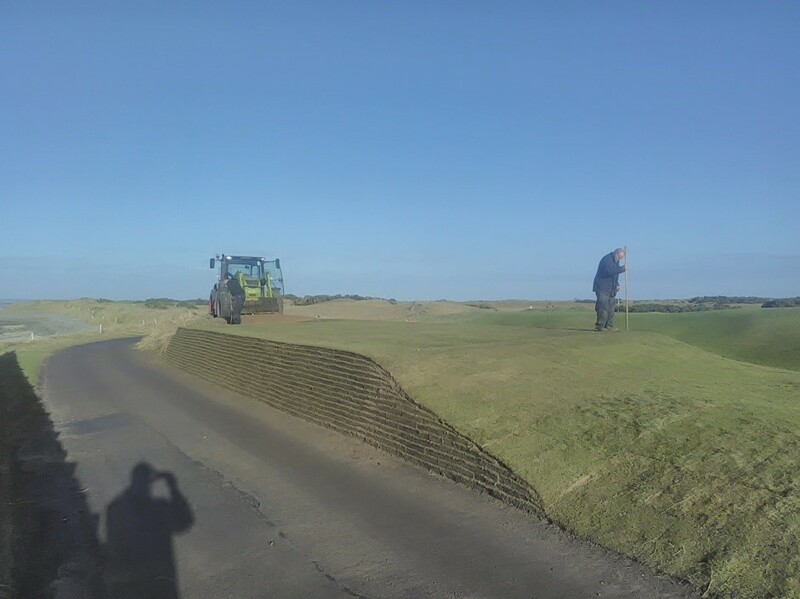 We levelled the tee and contoured the surrounding ground so it tied in better with the surrounding landscape. 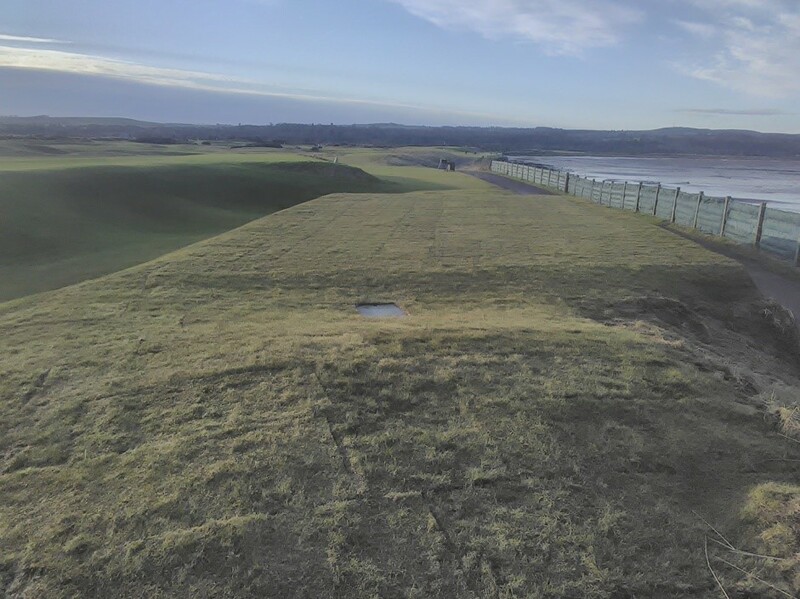 Our plan was to reduce and contour some of the slopes and leave the level of the tee the same as before. By doing this it would give the impression the tee was rising out of the ground. Once work had been completed on the front walk off area, we moved on to the main teeing ground where we began with removing old irrigation lines which we reconfigured to give us better coverage of the eventual new teeing area. 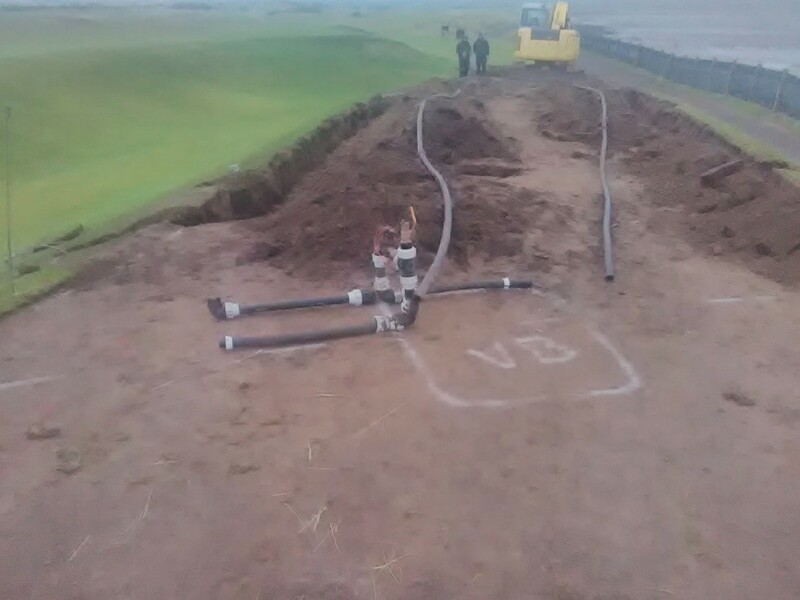 Once the old irrigation system had been lifted, we started to plan the new irrigation layout before trenching it in. This involved measuring out locations of each sprinkler and determining new locations for valve boxes. 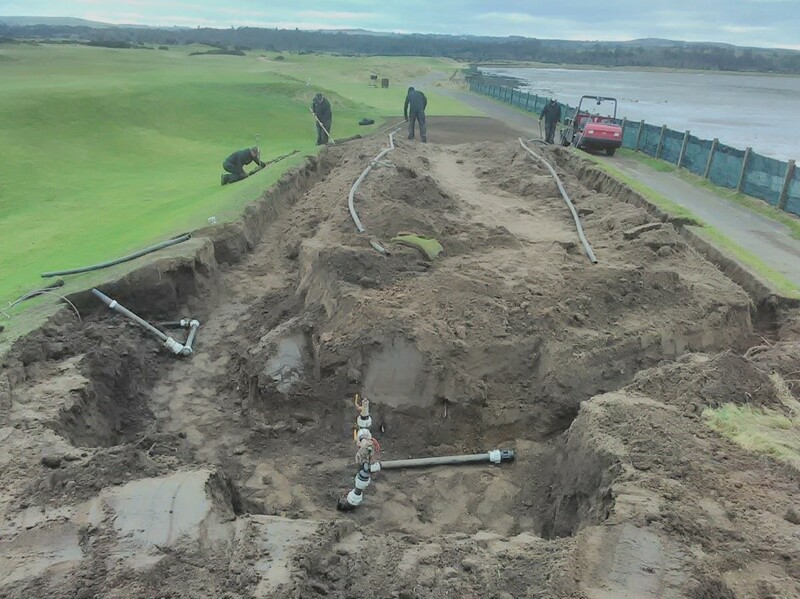 Once the irrigation and sprinklers were installed, we then back-filled material and started working on levelling the tee. 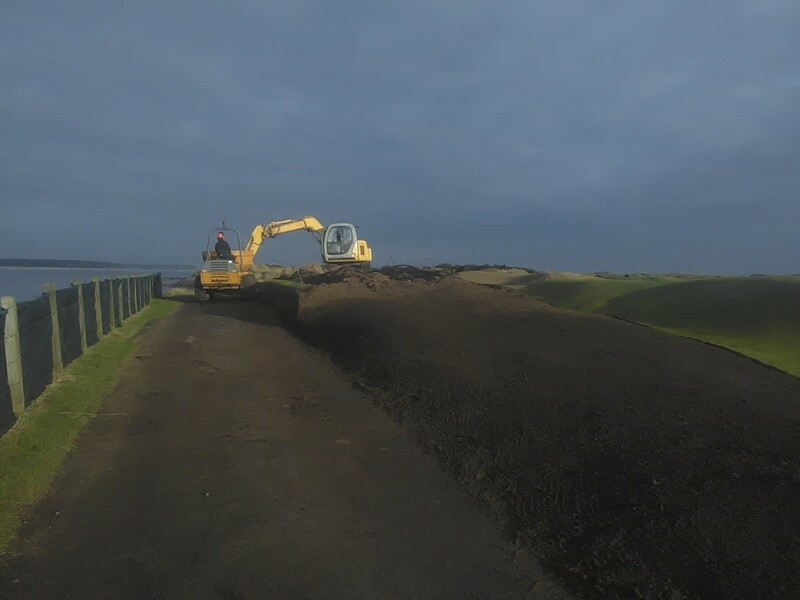 In addition to this we had the task of rebuilding a supporting turf wall on the estuary side of the tee. Once everything was all firmed up and supported correctly we could then start laying the turf before ticking off the job from the winter to do list!